Do you want to geotag your 360 photos and videos, but your camera lacks a GPS sensor? 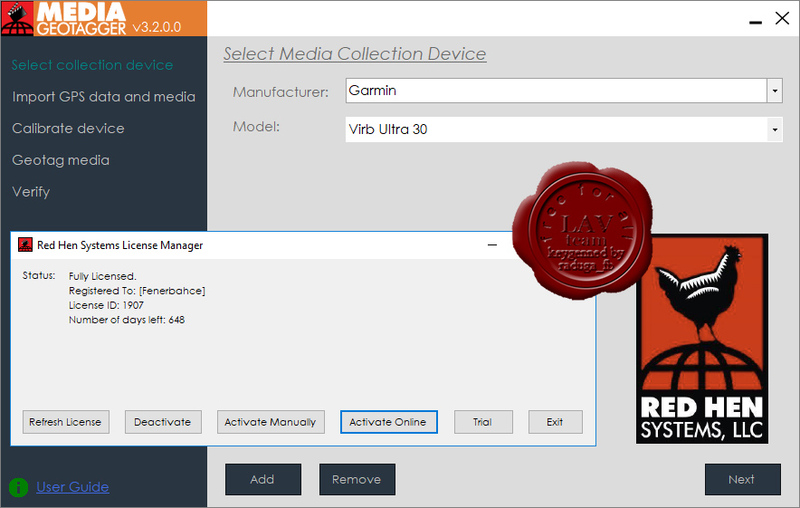 Media Geotagger is your solution. It syncs GPS track logs with photos and videos taken without a GPS-enabled camera. Geotag your videos and photos post-process with Media Geotagger. 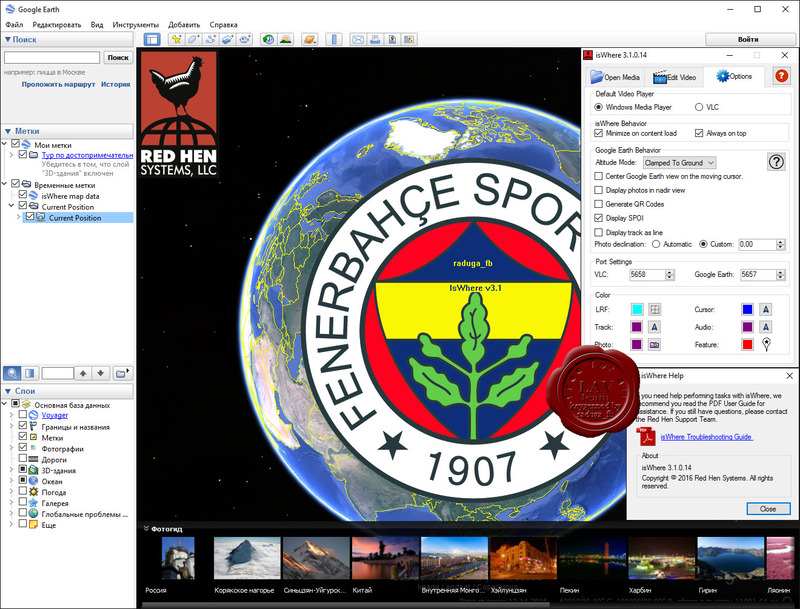 View exactly where your media was taken in Google Earth (through Red Hen Systems' IsWhere) or ArcMap (through Esri's ArcGIS component to view, edit, create, and analyze geospatial data). Whether you are taking video with an action-camera, snapping photos of wildlife in remote mountains with a high-end camera, recording damage after a natural disaster with a simple digital camera, or capturing a holiday adventure with friends with your phone, Media Geotagger shows you the exact location of the data you are collecting. Track - A track log of the route traversed is generated on Google Earth. Each point on the track is clickable. Selecting a point displays important details regarding GPS and other sensor information at the time of the logging. There is also a synchronized moving cursor on the mapped track that indicates the exact GPS location of the camera during video playback. Media playback - A camera’s perspective of the surrounding area recorded at the exact GPS location of the moving cursor can be viewed using the standard Windows Media Player. Additionally, if installed separately, video playback for isWhere can be viewed in the free VideoLan Media Player. The moving cursor is synchronized with the video at all times. IsWhere makes it convenient to view the exact GPS location on the track and the captured media of that location all on one screen. More info, tutorial videos, manuals.